They're extremely trendy, but do mushroom teas have any proven health benefits? It wasn’t that long ago that mushrooms were for pizza, and portobellos were considered exotic. 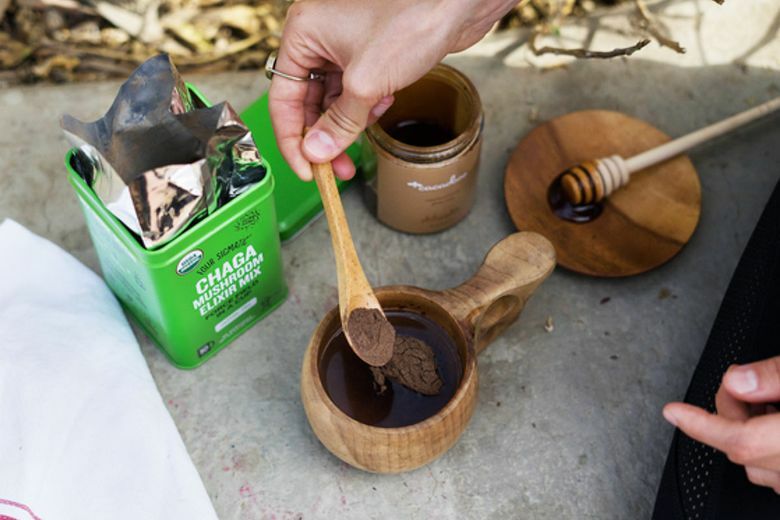 Now purveyors of chaga, lion’s mane and reishi mushrooms are promoting them as enhancements to beverages, not to food. And they’re making hefty health claims in the process. These fungi are becoming increasingly popular in the form of powdered extracts, which are typically used to make mushroom teas and “coffee.” In Ayurveda and traditional Chinese medicine, they’re classified as “adaptogens” because they’re believed to help your body “adapt” to stress. The alleged benefits include boosting energy levels, easing depression, even curing cancer. But what does the research tell us about these claims? Here’s what you need to know before adding these mushrooms-of-the-moment to your health routine. Reishi: This mushroom grows on decaying trees and wood. Also known as the lingzhi mushroom, it comes in several colors, although red is the most popular. Reishi mushrooms have been used in Japan and China for centuries for high blood pressure, arthritis and fighting cancer. Reishi: Studies on its health benefits have had mixed results. A small study of 10 people found that taking a reishi mushroom supplement for 10 days increased the levels of some antioxidants in the blood, which suggests potential heart health benefits. A follow-up study of 18 people taking reishi mushroom for a month didn’t replicate these results. Research also shows mixed results for the effects of reishi mushrooms on blood sugar and cholesterol levels, with one study finding that reishi mushrooms led to lower blood sugar and cholesterol levels, and another study finding no significant impact. There’s no evidence that buying mushroom teas, coffee blends and extracts will lead to health benefits. Eating a variety of mushrooms such as shiitake and cremini along with plenty of other vegetables is better for your budget, and comes with stronger evidence for disease-fighting potential. All varieties of mushrooms are low in calories, contain some vitamin D, may have gut-health benefits and give a rich umami flavor to your meals. My money is always on a variety of whole foods over single supplements.